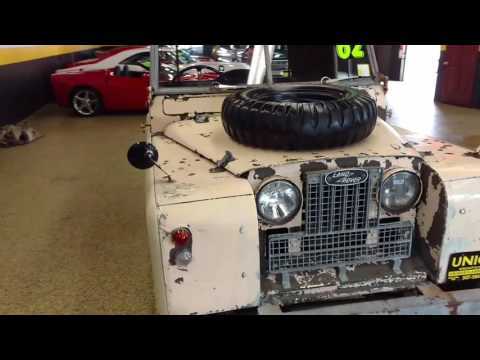 Click here for a video of it running Take a look at this hard to find Land Rover! Here we have a 1962 Land Rover Series II A , 88 wheel base and its RIGHT HAND DRIVE! ( We also have a left hand drive unit for sale, and an additional one that is a project/parts vehicle) This truck came to us from a collector just as you see it. He had 3 of these units and they were his passion. This one as Im told was a former military vehicle? I wont pretend to be an expert on these because we are not, however I can tell you that it runs and drives as it should and starts right up! Just out of long term storage... And of course these were built with aluminum bodies so at least you dont have to worry about rust on the body. Take a look at the pics and if you have more questions please email or call 507-386-1726.